Yard Sale Mommy: I don't care if they're ugly...they're for the kids! I don't care if they're ugly...they're for the kids! Recently my girls have complained that we NEVER decorate for any holiday other than Christmas, that ALL of their friend's moms have decorations for EVERY holiday, and Mama where are our decorations for Memorial Day, Flag Day, and Grandparent's Day? 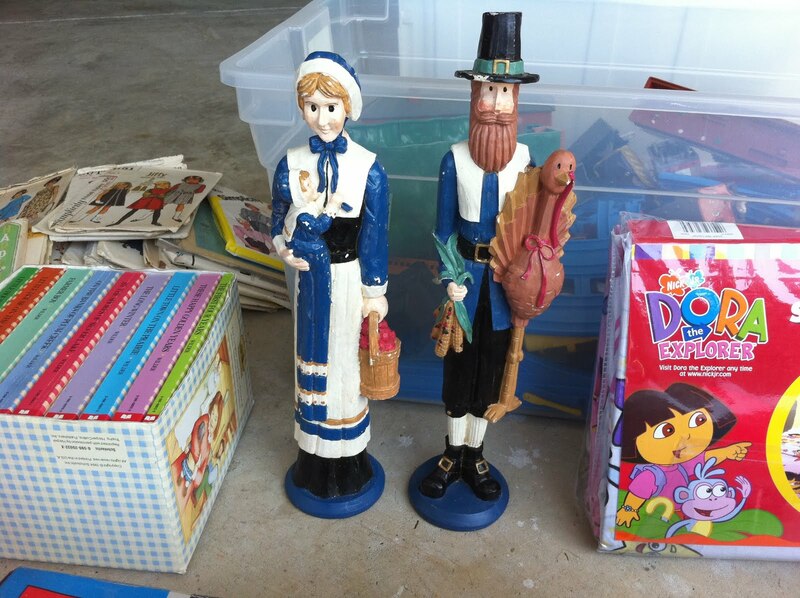 When I spotted Mr. and Mrs. Pilgrim at a yard sale this weekend, I was pretty happy. So what, they're ugly. So what, they're chipping. Only a dollar for the pair? Oh yeah...now we've got Thanksgiving decorations. And they actually represent something having to do with the meaning of the holiday, and I love that! And just a little rant about Crocs here. Crocs are great. But no money saving blog post about any great Croc sale can beat buying a pair for $1 at a yard sale that look like they have never been worn! 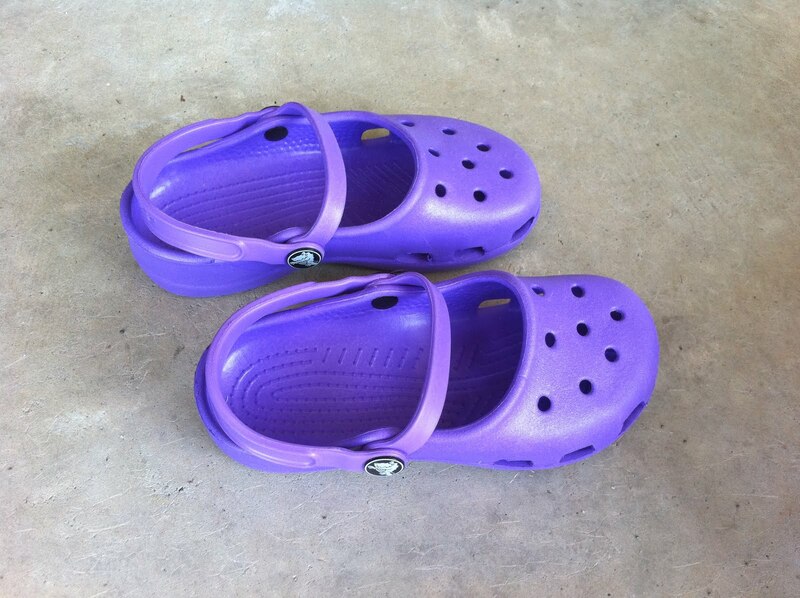 I got a similar pair of crocs (only a different color) for myself at a giveaway in the fall. Free Crocs...oh yea! Absolutely love your blog!! Thanks for the inspiration!